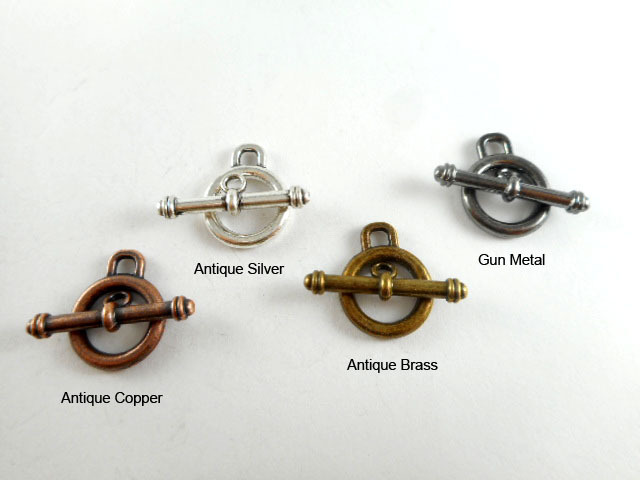 This listing features 4 metal finishes in these decorative toggles: Antique Silver, Antique Brass, Antique Copper and Gun Metal. These clasp findings are made of a lead-safe base metal alloy. These toggle findings measure 19mm long, including the loop, by 15mm wide by 2mm thick and the loop measures 3mm in diameter. The bar measures 25mm long by 4mm wide by 2.5mm thick and the loop measures 2mm in diameter. These findings are NOT bendable.